CHARLOTTETOWN, PE – Upstreet Craft Brewing has announced that its new retail store and taproom offshoot that was originally reported in January is now open in downtown Charlottetown. 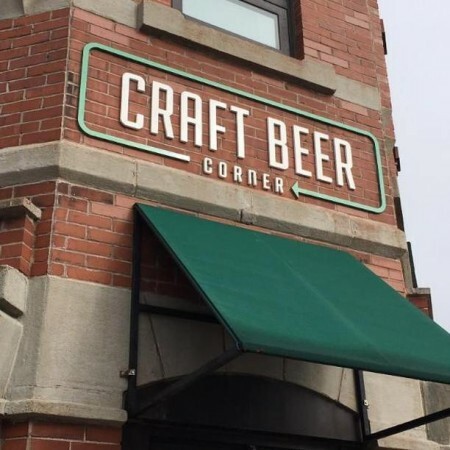 Craft Beer Corner features 24 taps with half of them dedicated to Upstreet brands, and the other dozen pouring a selection of other PEI craft beers, several locally made sodas, two kombuchas, and cold brew coffee from Receiver. Bottles, growlers, and crowlers of Upstreet beers are also available in the on-site retail shop, and a food menu focused on “epic gourmet junk food” will be launched soon. Craft Beer Corner opened at 12:00 noon today at 156 Great George St. in Charlottetown. For more details, see the Craft Beer Corner Facebook page.